Pazzles classic Image CDs are full of original WPC and SVG cutting files for all types of electronic die cutters. This category includes CDs 1 through 37, 51 and Journaling Fonts 1 and 2 created by Pazzles artists and partners. Almost all of the CDs have over 100 cutting files, making these discs a great value! 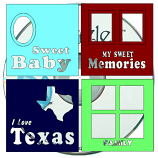 None of the WPC and SVG cutting files on these CDs are available in the Craft Room—these files are exclusive to disc! NEW! Image Cutting File CDs 1 through 37, 51 and Journaling Fonts 1 and 2 are now available for digital download! Save money on shipping and save on storage space in your desk. Download these classic CDs and get crafty in minutes. Still want the physical discs? Shop for the non-downloadable discs here.